Space companies and government organizations such as NASA and ESA are embracing blockstream as a mechanism to support their businesses and operations all the way from the ground to deep space. If you want to combine a love of cutting-edge software technology with satellites and space exploration, blockchain could be the gateway to fulfilling your dreams. Companies are incorporating blockchain into satellite Internet of Things (IoT) projects, storing tokens in orbit for safekeeping, and plan to extend blockchain transactions to commercial space stations and beyond Earth for deep space operations and potentially asteroid mining. Recently, I touched upon relatively “pure play” blockchain in space applications being driven by native blockchain companies. You can add ConnectX to an ever-growing list of companies incorporating nanosatellites into an architecture for distributing and redeeming their own cryptocurrency. Spacebit is running an ICO to fund “decentralized space operations.” And Miner One put a RaspberryPi board on a high-altitude balloon to the edge of space to claim a title of “Space Miner One” — but they’re following in the footsteps of KFC. As previously noted, part of the relationship between cryptocurrency firm Nexus and start-up launch provider Vector Space Systems includes the ability for customers to pay for launches using Nexus cryptocurrency. Exactly when someone other than Nexus pays for services using the cryptocurrency is an open question. Vancouver, Canada-based Helios Wire is putting together nanosatelites, IoT, M2M, and blockchain as a part of the “Next Industrial Revolution,” according to the company’s website. Helios Wire says its space-based system will be able to provide “efficient and affordable” monitoring, tracking and messaging for as many as “5 billion devices” worldwide. Blockchain will enable IoT devices to autonomously engage in transactions with one another via smart contracts, not just be “connected.” Helos says backing up data and blockchain ledgers off-planet also provides more security, and ledgers can be delivered through space-based satellite systems to reach and supplement traditional terrestrial infrastructure. The company expects to launch its first two satellites the second half of this year. Cloud Constellation Corporation’s SpaceBelt data-center-in-space scheme proposes a set of low earth orbit (LEO) satellites — three storage and nine communications relay satellites — to provide secure storage and distribution of digital assets. So far, the company has announced agreements to store cryptocurrency, tokens and other blockchain-ish data for SolarCoin and TokenEx, along with interest from Hollywood to securely move daily film shoots between on-site locations and editing suites. Cloud is currently seeking a couple hundred million dollars to build and launch its first satellites. 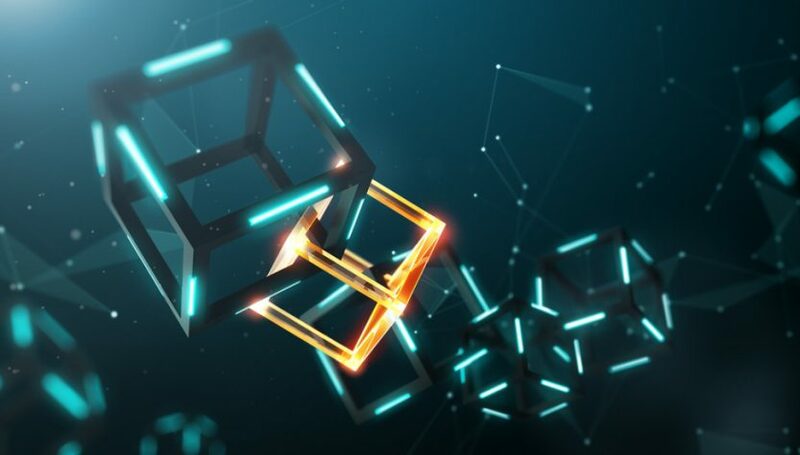 NASA’s Goddard Space Flight Center has discussed using blockchain as a part of a distributed spacecraft mission and for digital “ledgers” to confirm operational tasks are successfully performed. Using blockchain in combination with AI for decentralized and shared control of data, plus applying it to earth science missions for tasking satellites and working with shared data. The space agency is also funding early research to incorporate blockchain and smart contracts into satellite debris avoidance. The “Resilient Networks and Computing Paradigm” (RNCP) will use Ethereum blockchain technology to develop a decentralized, secure, and “cognitive” network and computing infrastructure for deep space exploration. A group of satellites would be able to communicate among themselves to spot space debris and other issues and move to avoid them, enabling them to act autonomously rather than having to wait minutes to hours for Earth to figure out a solution and send up a set of corrective commands. Across the Atlantic, the European Space Agency (ESA) is investigating blockchain to be applied to everything from satellite communications to procurement as a part of its Space 4.0 concept. Like NASA, ESA has generated PowerPoint discussing its thoughts. Unlike NASA, ESA’s initial thoughts have gone to speeding up administrative processes — no mundane task when you’re dealing with 22 countries in Europe. Next-generation commercial space advocates and companies are more circumspect about blockchain, but they clearly see the potential the technology. NanoRacks CEO Jeffrey Manber is an advisor to Singapore-based SpaceChain. Manber has been building commercial space opportunities dating back almost two decades, including arranging the first “space tourist” trip to the International Space Station (ISS). NanoRacks effectively owns and operates various bits and pieces onboard ISS, including the station’s cubesat deployer. Lewick said asteroid mining, the focus of Planetary Resources, is a technology where progress will be measured in “decades.” He’s looking “ten, twenty, thirty years out” to figure out what the future might look like. Blockchain provides technology for decentralized and trust transactions. Smart contracts provide a lot more autonomy in how operations might proceed, a key asset if you are conducting operations 20 minutes at the speed of light away from the planet. Blachman declined an opportunity to speak to Space IT Bridge in April and suggested I circle back to him in “mid-May” for an on-the-record discussion. Axiom Space is no fly-by-night company; it has a deep bench of executives involved in American human spaceflight and ISS operations, including two astronauts. I’m looking forward to talking to Mr. Blachman in the near future.